1. I got to leave work at 2:00 PM. 2. I have the next FOUR days off! And they will be four days of binge-eating. YES. 3. Amazing food at Metzger’s. 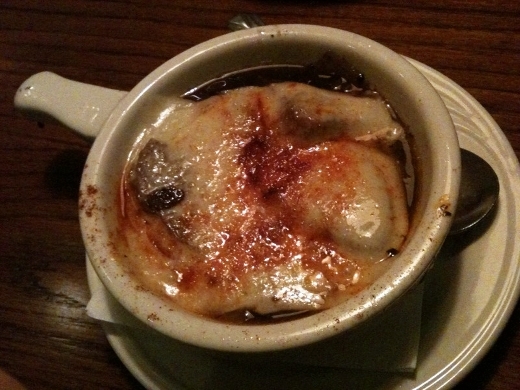 To start, I ordered French Onion Soup. 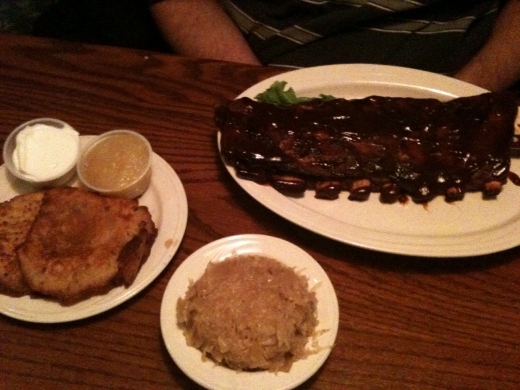 Left: T’s dinner – BBQ ribs with Potato Pancakes and Sauerkraut. 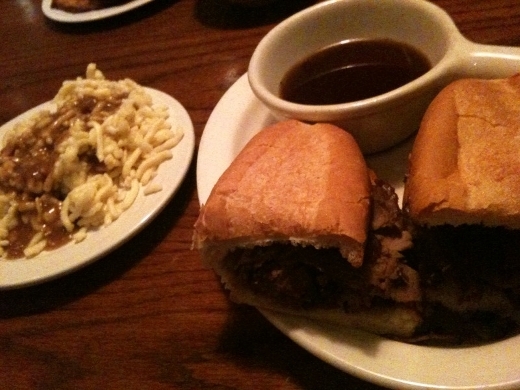 Right: My dinner – French Dip Sandwich, sliced Prime Rib on a bun with au jus; and Spätzle. I freaking adore Spätzle (traditional German noodle, with gravy). Despite the fact that we were at a German restaurant, I was feeling French apparently, as I ordered French Onion Soup and French Dip Sandwich. For the record, I am of German descent, but not French. 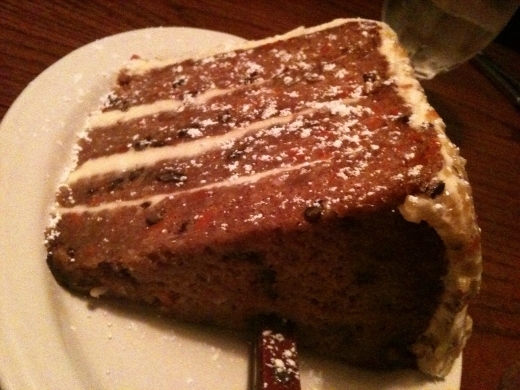 We finished the meal with the Carrot Cake for Two – hands down the best carrot cake I have ever (EVAR!!!!) had. Easily. Mandatory. For the record, I brought half of my dinner and half of my half of the cake home and had it for my Thanskgiving breakfast! ♪♫ Currently listening to: Pain – Three Days Grace.